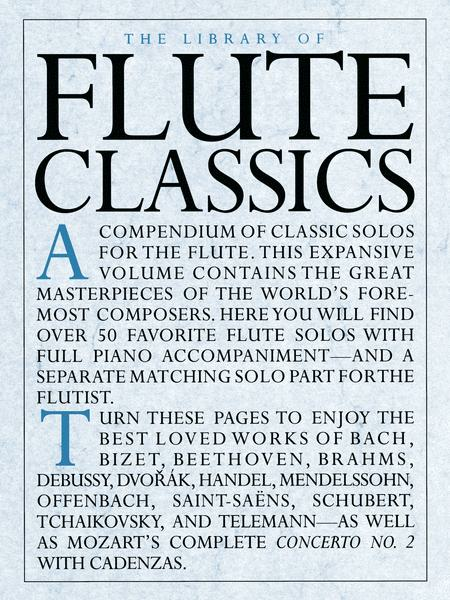 A treasury of over 50 classic solos for the flute, with full piano accompaniment and a separate matching solo part for the flutist. Includes works of Bach, Debussy, Handel, and Tchaikovsky, as well as Mozart's complete Concerto No. 2 with cadenzas. This book is awesome. So much variety! Love it! refer to in this book instead of other books is the Flight of the Bumbble Bee. It has it in the lower octave. It's a really good book I just wouldn't use it to play at solo competitions. 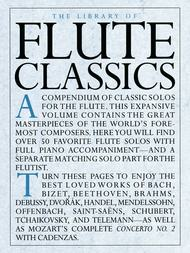 This book has the best selected classical solos there are! Buy this book! wrong buying this book. It is one of the most worthwhile buys you can add to your flute collection.